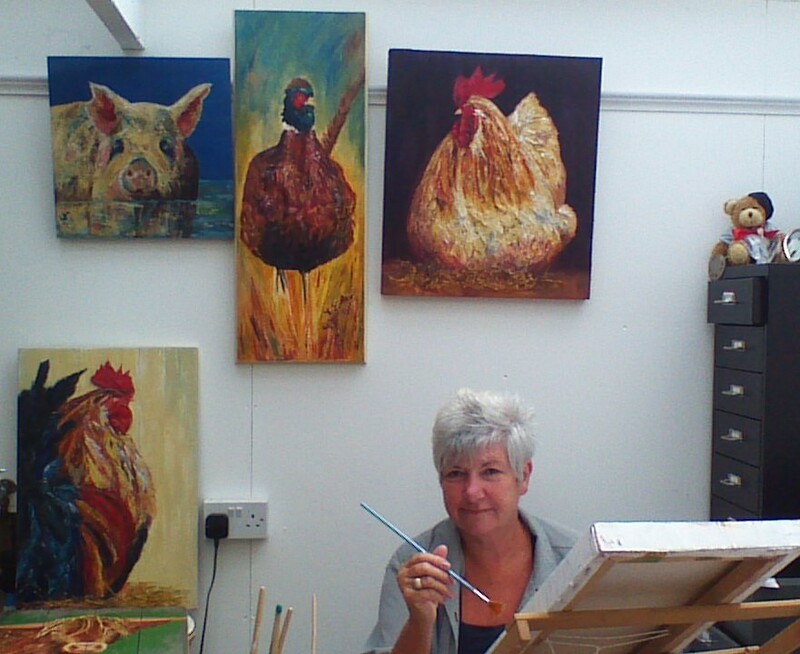 Broughton Artist Linda Hensman began painting at school and then continued after having her family, beginning with watercolours and then experimenting with mixed media. Moving to East Devon in 2010 Linda mainly used natural fibres in collage on wood and canvas to give her paintings a rustic look. For example, in her chicken, pheasant, geese and bird pictures Linda recycles feathers and in her farmyard animals she recycled sheep’s wool and a combination of hair and palm fibres. 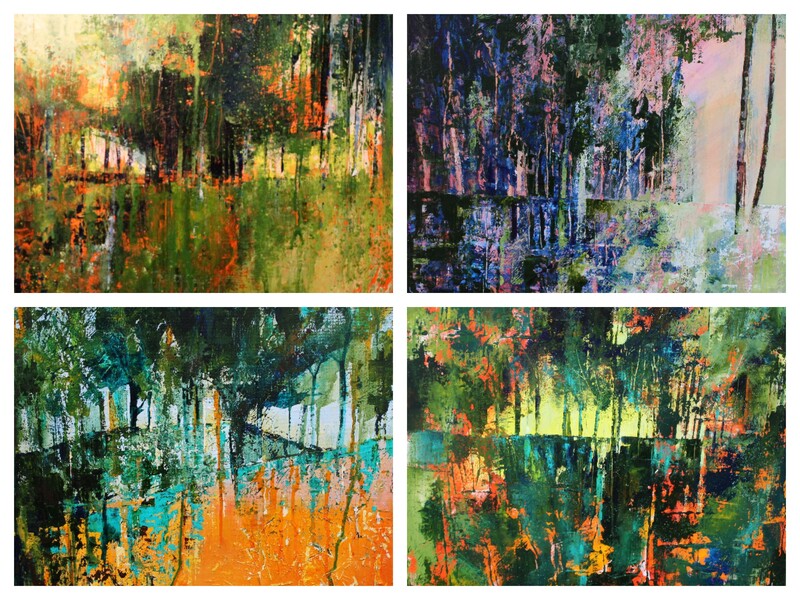 In 2015 Linda developed her new range of abstract tree pictures; these are bright and vibrant. 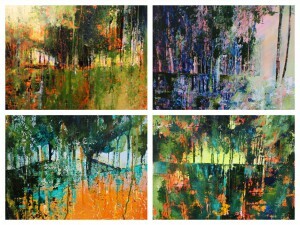 A collage of these abstract tree pictures can be seen above on the right. To view more please select the Abstract Trees button from the menu on the left. In 2018 Linda moved to Broughton in the beautiful Test Valley and looks forward to experimenting with new techniques and materials to capture the essence of her new surroundings.